Our camp-site is in the Vaucluse beneath Mont Ventoux, and the Gorges de la Nesque – a natural canyon near the National Park of Luberon. We offer 62 pitches, and 15 rental accommodation with covered terraces and a view to the Mont Ventoux in a fenced 1.5 hectare wooded park. You will love the weather and the calm and friendly welcome of a small, typically Provençal village. The site is ideal, with restaurants, trails, historical visits, biking and hiking tours. 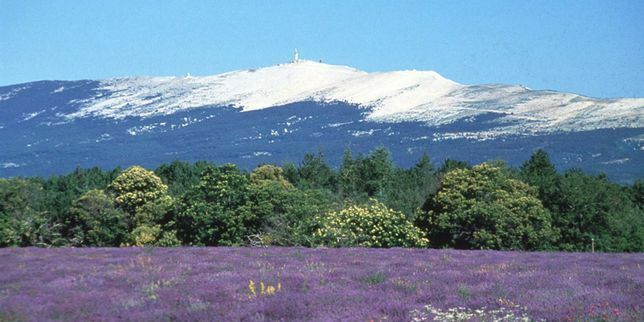 A few kilometres from Avignon in the heart of Provence, Camping **** Les Verguettes allows you to discover the South of France, from Mont Ventoux to L’Isle-sur-la-Sorgue, the lavender fields of Sault and the hilltop villages of the area (Gordes, Venasque). Come and relax in this natural area. In 2019, two new unusual housing: the PODS! And still lots of new things to discover! For lovers of nature the camp site is located between Monts du Vaucluse and Mont Ventoux – the highest mountain in the area. For cyclists, Mont Ventoux can be reached in few minutes (10 kms) on a flat and smooth road. For walkers, you can get to the splendid Nesque canyon, see the red ochre in the forest of Mormoiron, and take many walks in the fields of lavender and the wooded hills around the camp site. For gourmets, you can savour the Vaucluse wine in the Cave Terraventoux, just near our camp site. And for everyone, the Provence offers famous historical and natural sites (Avignon, Rustrel, Roussillon) and also small, typical villages which are not so far from our camp-site (Sault, Blauvac, Méthamis, Venasque). The camp site offers you a lot of activities for everyone. The heated pool is pleasant in Spring and Summer, for swimmers and for children. A paddling pool is available for youngsters. People who go for sport can stay at the camp site and enjoy the multis-sports area, pétanque (like boules) and mini-golf. 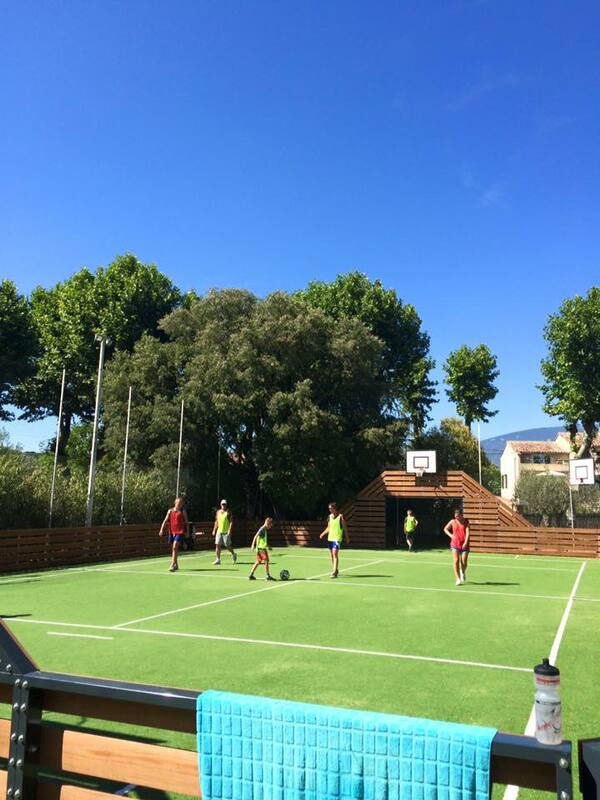 In summer, we organise weekly sports tournaments. Children from 1 to 12 years old can play and take part in various activities: zip line on an acrobatic path, the inflatable giraffe, playground and activities for little ones under 3 years old (drawing, balancing games, board games, etc). In summer, special shows are put on for children. If you just want to relax, there is the patio under the olives trees, a library of books in various languages and for all ages, yoga sessions and a weekly concert in summer and on public holidays. From end of June to August, we open the Restaurant-Snack for themed menus (Friday, Saturday and Monday). On the other evenings food trucks come to the camp site, (chicken, pizza, burgers, wok and Provençal specialities..). You can follow all our news and events on Facebook or on our News Page on this website.